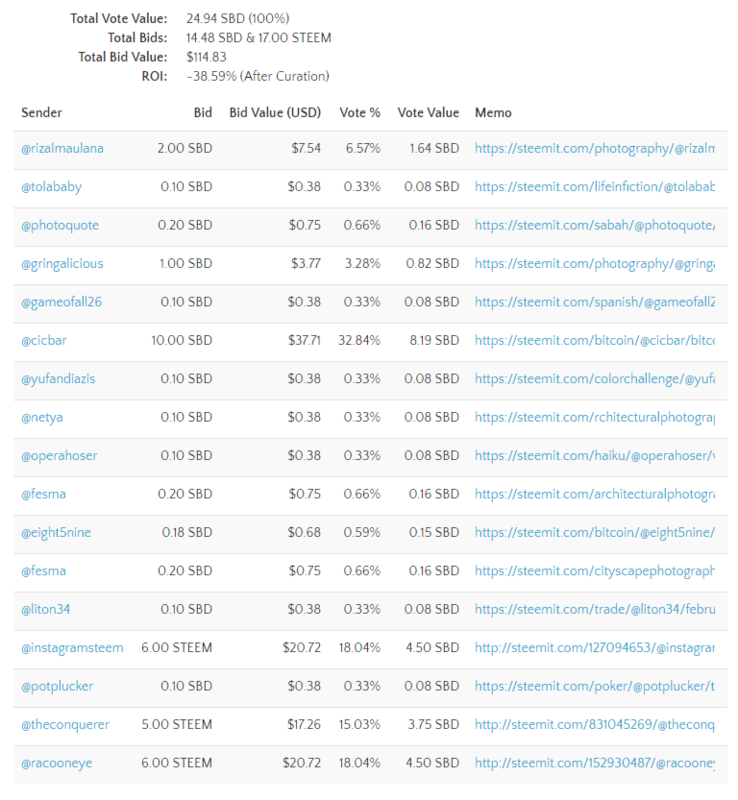 You spent 6 steem to upvote this on a bid bot? Nice... BTW bots only have so much voting power. If to much is purchased then everyone buying the vote loses money. We all lost nearly 40% of our purchase price for this one. You big purchase was more than it could give and then some other bought in behind you. Just trying to save you some money. Plus there are many accounts that watch for this kind of work and down vote. Even if you make money the down vote will take it away.